These day’s adware popups, spyware and other viruses are one of biggest problems between Computer users. Adware and spywares generally gets installed on your computer with free software’s and Untrusted websites. These software’s and websites trick the users to install some hard to uninstall extensions, add-ons or software’s. After getting installed on your computer, Adware’s start showing you advertisement popups and starts redirecting you to spammy or malicious websites to make money. In other side spywares start spying on your activities, steal your passwords and your data. Both of these viruses make computer very slow and very hard to use. If you are also getting these problems in your computer (PC), and don’t know How to remove adware and spyware from windows 7, 8 or 10, I am here to guide you how to do it with AdwCleaner. AdwCleaner is one of the Best adware/Malware removal tool available for free. It will not even help you to get ride of adware, but also remove spyware and adware popups for you. Follow below steps to remove adware and spyware from your Windows 7,8 or 10 computer. 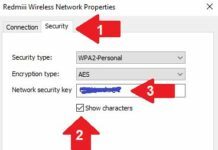 Before scanning your computer, make sure you create a system restore point, So that it deletes any virus infected file which is impotent for your system to run, You can restore it lather. 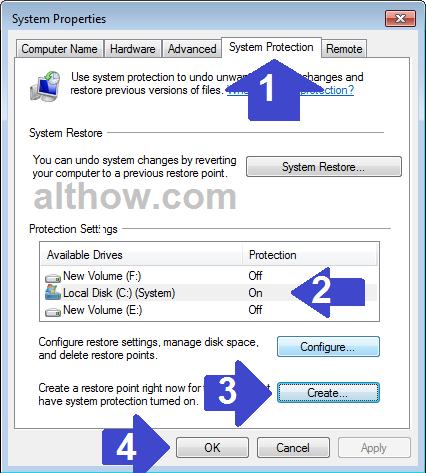 follow below steps to create a system restore point. Push Windows+R keys at the same time and type sysdm.cpl on the box and hit Enter. Now System properties Window will appear, Click on System Protection Tab. Select Local Disk (C:) under the Protection Settings, and Click Create button on the bottom right corner of the window. Now give it a name e.g. 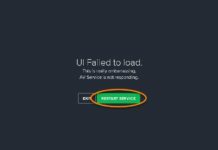 myrestorepoint and click Create Button. Before running the AdwCleaner tool, If you have suspesious Extensions on your Browsers, you may remove them by reading below articles. How to remove Internet Explorer Add-ons. How to remove Extensions from Chrome. Run AdwCleaner to remove Viruses and Adware pop-ups. Once you have Created restore point and removed Add-ons, You can start the process of AdwCleaner. Follow below steps to run the AdwCleaner to remove Malware from your pc. Close All your Programs, Including your IE, Firefox or Chrome browser. Download AdwCleaner (from this link) into your PC. 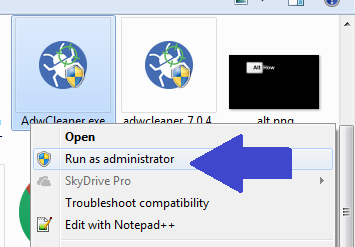 After Downloading AdwCleaner, Right Click on it and open and Click Run As Administrator. After Completing the Scan, Click Clean button and then click ok to remove adware/spyware/malware from your computer. After cleaning adware/malware reboot your computer. After removing malwares with Adwcleaner, It will leave some broken registries. you may run Ccleaner to clean them. Follow Below article to clean Broken Registries from your computer. 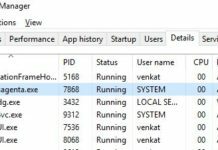 How to Use CCleaner to remove Broken Registries and junk files. That’s it, and you have successfully removed malware from your pc. IF the adware/malware still exist in your computer, you may also use malware-byte to remove them. If you have more questions, you can feel free to ask me in the comment section below.